How do we raise our camping game? We discovered amazing ideas at the Inn Town Campground. I am crazy-lucky to live in Nevada City. Finding adventures in our backyard is one of my favorite things. And my kids are begging me to stay a night in a glamping tent. It's going to happen. 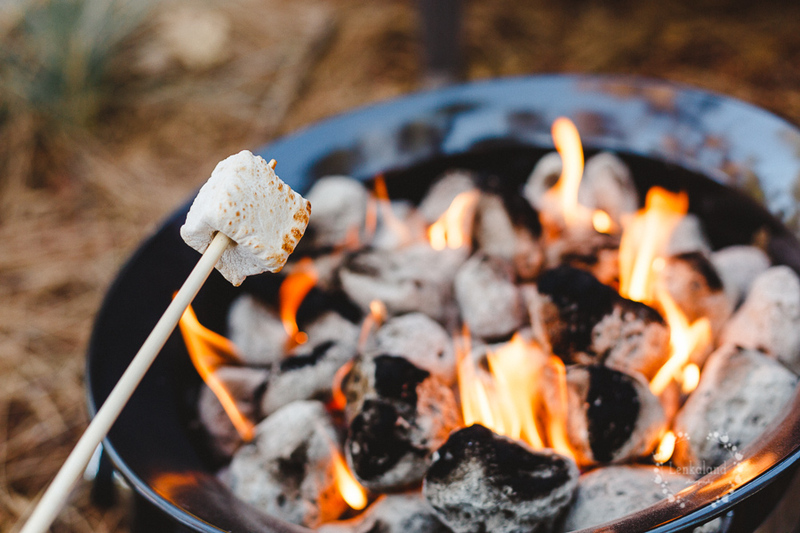 Our next camping trip will be sure to include The Rustic Puff marshmallows. These marshmallows are serious gooey delight! We taste tested pumpkin souffle and pumpkin spice latte. The kids chose pumpkin souffle as their favorite. My favorite was the latte. I have plans for s'mores with other flavors. Marshmallows will never be the same for me! And I loved the idea of bringing solar lights to decorate the camp space. No matter whether we are in a tent, glamping tent, or trailer, the lights from Allsop Home and Garden brought a touch of festivity. We propped the lights around the tents. They added fun color in the daytime and pretty light at night. Creative camping ideas are the best! Always an adventure. Enjoy exploring!